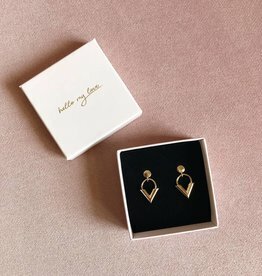 Meet me under the palmtrees baby! 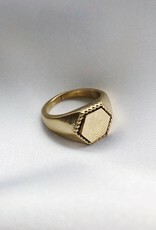 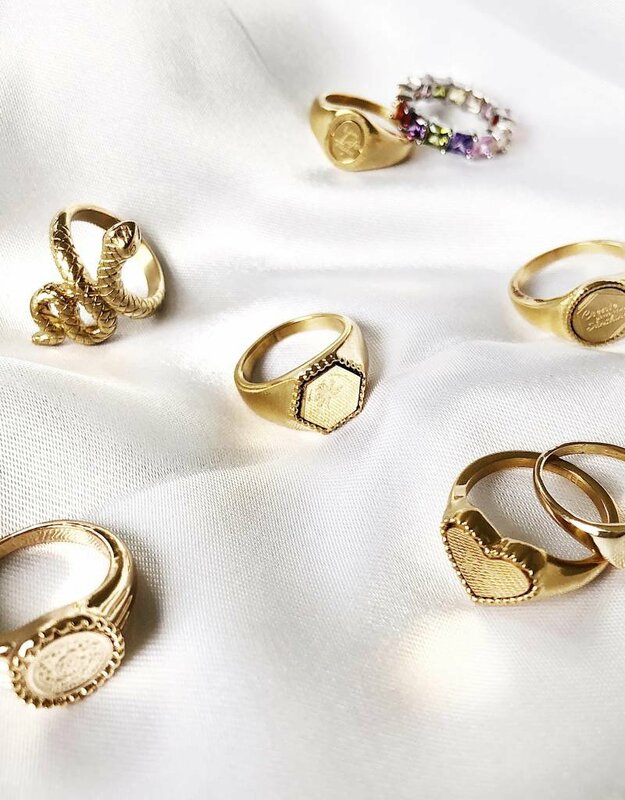 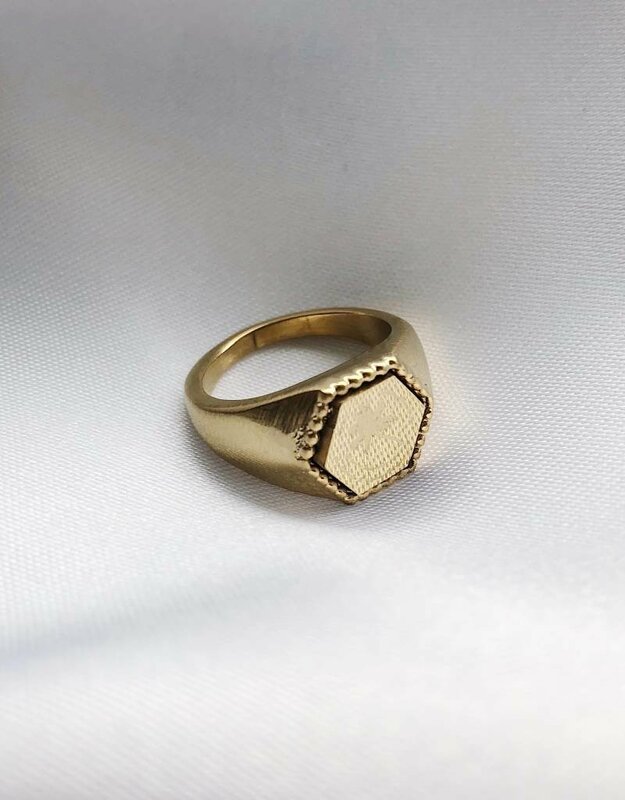 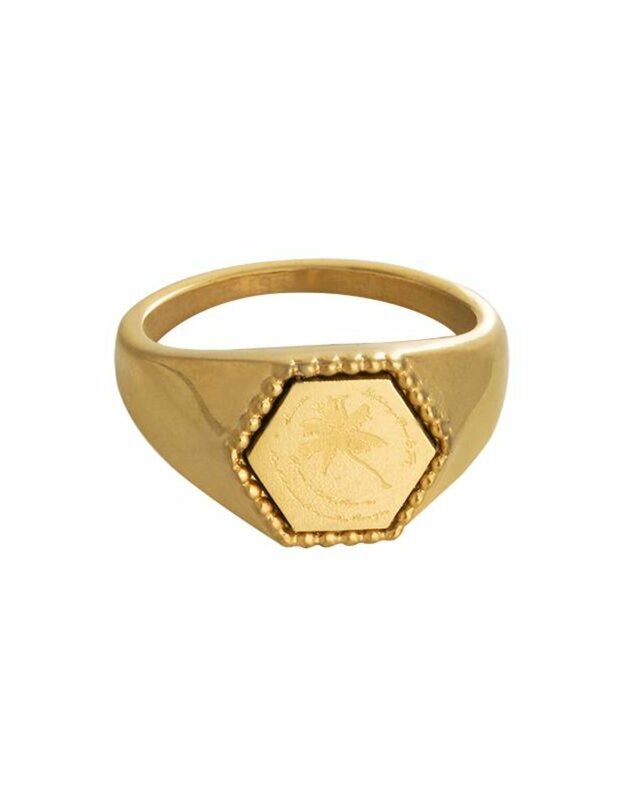 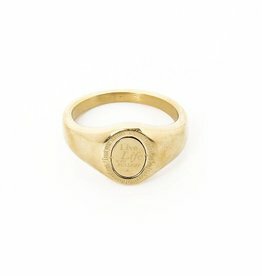 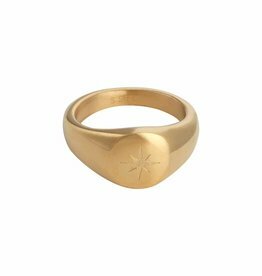 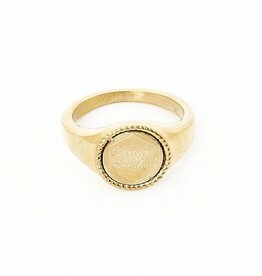 Our newest vintage look signet ring has a gorgeous hexagon shape with a palm tree engraving. 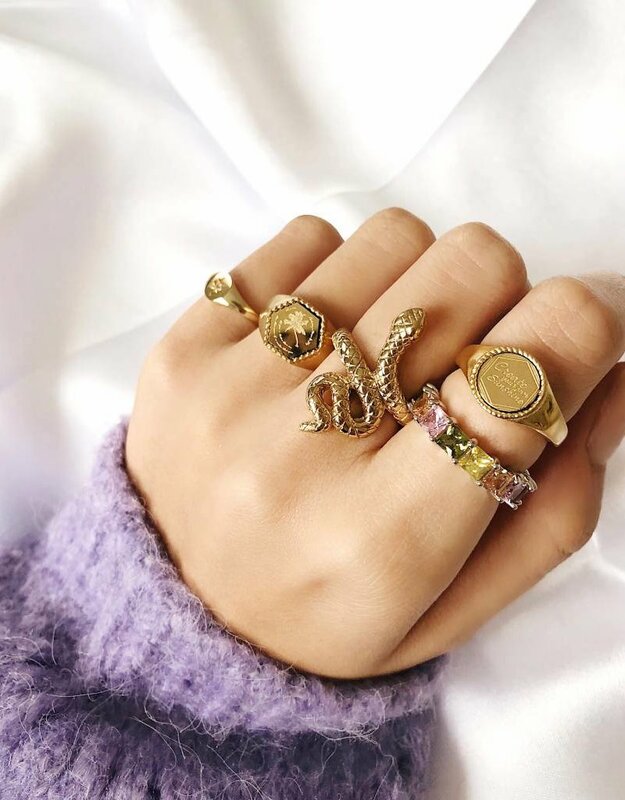 Perfect to combine with our other rings!